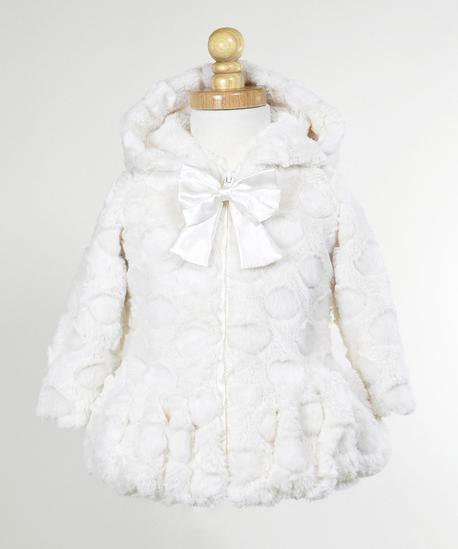 Make her everyday outerwear a bit fancier or a special-event outfit even more special with Widgeon's super-soft faux fur hooded coat. Embellished with a constructed satin bow and over-the-hip peplum. 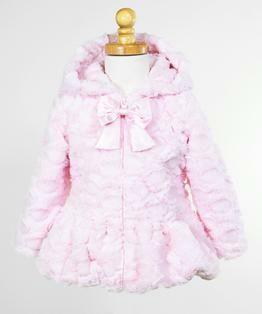 The coat is detailed with a comfy plush micro fur lining, pure softness inside and out. Zipper close. Hood. 100% Polyester. Machine washable.